Bounded by First Lake Drive, Glendale Drive, Cobequid Road, and Metropolitan Avenue, the trails around First Lake make up a portion of Sackville Lakes Provincial Park. 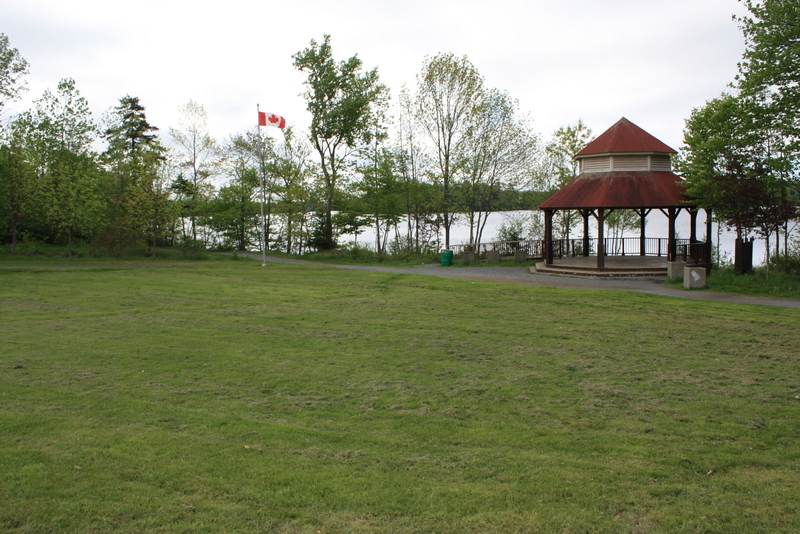 The land surrounding the lake is home to the Sackville Sports Stadium, the Kinsman Park, the Sackville Arena, the Bingo Centre, Taiso Gymnastics, the Sack-A-Wa Canoe Club and the Eddie Leblanc Baseball Field. First LakeDr. (5 stops), Glendale Dr. at Pine Hill Dr.
Louis Braille would likely be pleased. So should David Suzuki and Ansel Adams. A wheelchair-accessible nature trail in Lower Sackville that has been years in the making now has signs that are tactile and include Braille for path users who happen to be visually impaired or blind. 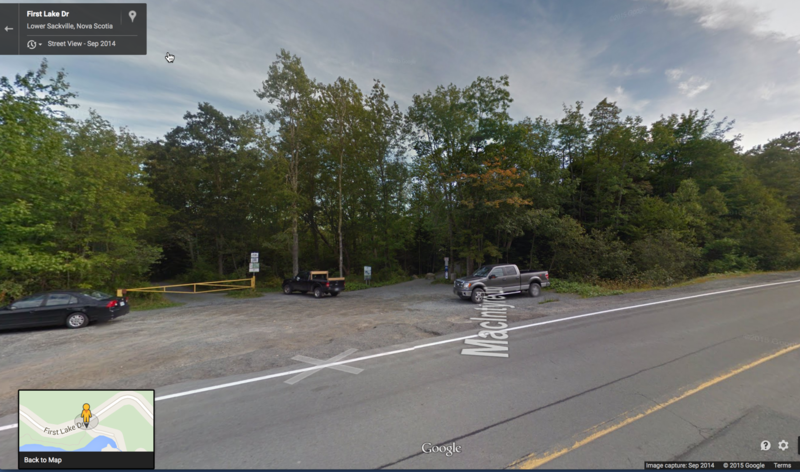 The trail, at First Lake in Halifax Regional Municipality, is being built in stages. Construction started around six years ago, but the project’s sign element is a more recent component. According to Bob Taylor, chairman of the Friends of First Lake Society, fabrication and installation of more than 20 signs on the scenic trail cost around $50,000. Taylor said the non-profit group receives funds from the three levels of government, corporate sponsors and a local service club. “The Sackville Lions Club’s contribution for the tactile portion was $12,000,” said the retired salesman who worked in the printing business. A relatively fit walker should be able to do a round trip on the trail in under two hours, Taylor said. The path is at water level, so there are no hills, and it will accommodate bicycles but not motorized devices, he said. Motorized wheelchairs, though, are allowed on the trail. Taylor said his group consulted with a visually impaired resident, Troy Nauffts, before embarking on the sign project. Nauffts, who uses a guide dog, Momo, told The Chronicle Herald that Braille and tactile signs were his idea. The regional office of the CNIB has endorsed the sign work. “On behalf of our clients, CNIB commends the Friends of First Lake Society for their commitment to accessibility and creating a community space that can be utilized by all residents, regardless of vision loss,” spokeswoman Nicole Lawrence said Thursday in an email message. “We feel this new Braille and tactile trail signage is a great step toward creating a more inclusive, barrier-free society for individuals living with blindness or partial sight” in the Halifax area, Lawrence said. Taylor said the trail isn’t quite finished, and neither are its markings. He said future signs could include interpretative guides for users, but that would be contingent on funding. Interpretative signs would help all trail users learn more about the lakeside environment that surrounds them, Taylor said. If you are looking for information about Kinsmen beach, please click this link https://www.halifax.ca/rec/Beaches.html. You can reserve the gazebo through HRM recreation, please book ahead as it is often booked for wedding events. Looking for a key to access the boat launch gate?